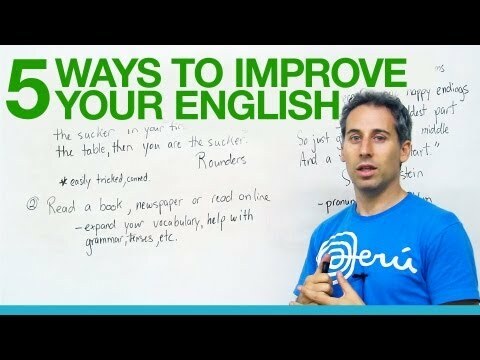 In this lesson I discuss five great ways to improve your English. All aspects are covered: reading, writing, grammar, and speaking. There is no end to what you can learn, and no reason why you can't have fun doing it!